Grab your paddle and get ready to get on the water! Canoeing and kayaking are among the favorite outdoor activities in our area. Beaumont is surrounded by many bodies of water and makes for the perfect place for a beginner paddler or someone who has been around the lake a few times or two. Willie Nelson is one of the only American Canoe Association certified licensed kayak guides in the Southeast Texas area. He says being on the open water in a quiet kayak or canoe is the best way to enjoy the waters in our area. 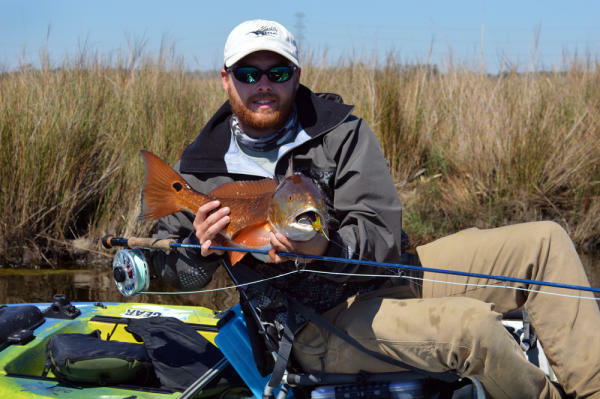 Nelson and others in the “SWBKFC” have fallen in love with the waters of Southeast Texas, often spending the weekends paddling and fishing. Nelson says people also have misconceptions about using canoes or kayaks. It may be more dangerous than you think. Tell someone where you are going. If you are going by yourself or with a small group make sure someone knows where you are so they can find you if you get lost. Make sure your phone is fully charged before headed out on the water. Scope out the area before you launch to make sure you are familiar with the area. Bring along a whistle so you can alert nearby boaters in case there is a problem. Pack a small first aid kit on the boat. Nelson says getting cut on reef or with other objects is actually pretty common. When picking out a kayak choose a bright color like yellow or orange so you can be seen by other boaters. Keith Lake is near Sabine Pass and connects the lake to Sabine - Niches waterway through the Port Arthur Canal. This area is very calm and without currents so it makes it easy for beginner paddlers. Texas Point National Wildlife Refuge encompasses 8,900 acres of fresh to salt marsh with some wooded uplands and prairie ridges. It’s located along Highway 87 near the Louisiana Border. 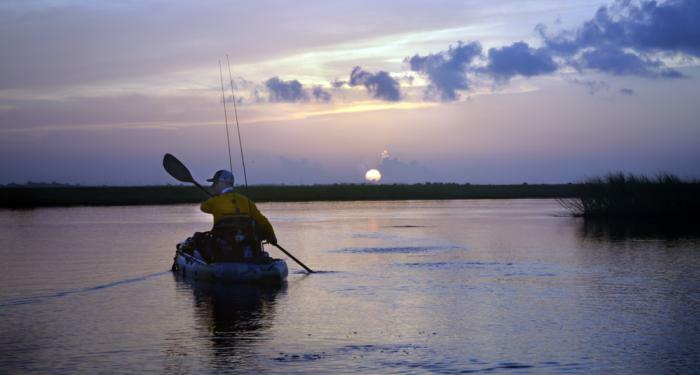 Texas Point is adjacent to Sabine Pass and is a favorite among paddlers and anglers. Village Creek State Park is located 14 miles north of Beaumont, off U.S. Highway 96 in Lumberton. The park is part of the Big Thicket National Preserve and includes a 21 mile paddling trail. The trail has multiple access sites to help you create the best float time for you. These are just three of the various paddling and fishing areas in the Southeast Texas area. 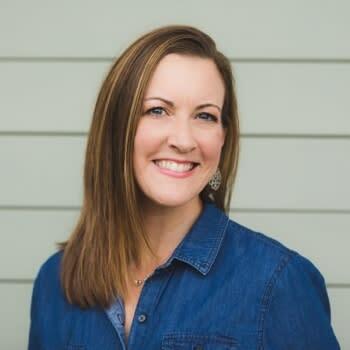 Beaumont is surrounded by many bodies of water including the Neches River, the Sabine Causeway, the Gulf Intracoastal Waterway and many lakes and bayous. 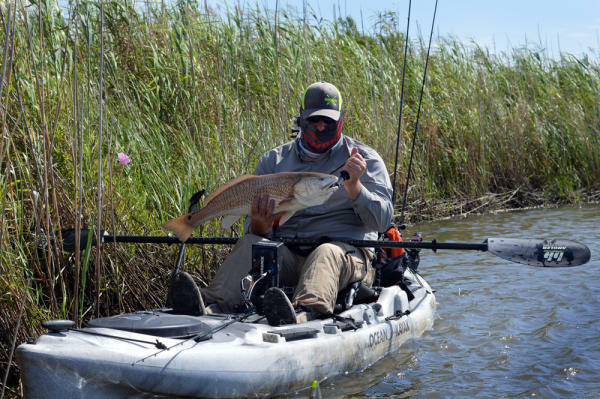 The Salt Water Boys Kayak Fishing Club has chapters sprouting up all over the Gulf Coast of Texas. They hold several kayak tournaments throughout the year along with meet and greets, backyard BBQ’s, beach clean-ups, charity tournaments and more! Download and print paddling maps here.